How Do I Provide Evidence of Use for a Trademark? There are several reasons you might need to provide evidence of trademark use. The reason you are needing to provide it may alter the answer as to ‘how’ you do so. Irrespective of the reason, it will need to be in proper format for filing with the Trade Marks Office. This will include drafting a declaration that appropriately attaches and references exhibits as the evidence of use of your trademark. The reason you are preparing evidence of use will determine the information you should include in your declaration. You may receive a report from IP Australia during their initial examination of your trademark application. This report may suggest that evidence of use is a possible option to overcome any issues that have been presented as reasons your trademark is not in order for acceptance. Most commonly this is likely to be an objection under Section 41 of the Trade Marks Act 1995 (the Act)- basically this means your trademark has been not capable of distinguishing your goods/services from similar goods/services of other traders– usually because it’s descriptive, generic or is a term that others should be allowed to use in the normal course of business, or, an objection under Section 44 of the Act, which is to say your trademark closely resembles an earlier filed trademark for similar activities. Both the above objections could be addressed by providing appropriate and sufficient evidence of trademark use. In this scenario your evidence needs to show that because of the way you have used and promoted your trademark in the marketplace for your products or services, it is capable of distinguishing those goods or services from the similar activities of others. Or, in some situations under this section you may also be able to provide evidence of your intention to use the mark, to show that because of the way in which you intend to use and promote it that it will become capable of distinguishing your goods or services. Basically, showing the examiners that the trademark can serve as a ‘badge of origin’ when applied to the goods or services. In this case you would include, in your declaration, a history as to when, where and how you have used your trademark (and, if allowed, how you intend to use it) in respect of your goods or services. You would attach examples (exhibits) to your declaration that show the use of that trademark in the course of trade and functioning as the ‘badge of origin’ for your products or services. These examples need to be referenced and preferably dated. They could be copies of online or print advertisements, packaging of goods, photographs of signage for example. In this scenario, you cannot rely on an intention to use your mark as a way forward. If you choose to respond to an objection of this nature by filing evidence of trademark use the evidence must be ‘at the date of filing’. Meaning, only evidence showing use of the trademark up until the date you filed the application will be considered. Use that has occurred after filing the trademark application will not assist in overcoming the problem. If you can demonstrate you first used your trademark (in relation to the claimed and relevant goods/services) on a date that is earlier than the conflicting mark in your report, and that you have used it continuously since then until at least the time you filed your application this is ideal. This establishes prior use – and, where you can show yourself to be the prior user for the relevant products or services to a similar trademark that has been filed or registered the examiner must withdraw the objection. Your declaration in this case should discuss when/how you first used the mark; whether it has been continuous and should provide examples to show the prior and continuous use. If you commenced use after the filing date of a cited mark that is appearing in your report from IP Australia you might consider moving forwards in filing evidence of honest concurrent use. Here, you must be able to explain how/why you selected your mark, and demonstrate that the adoption of your trademark and use since adoption has been honest. In this case, the examiner will have discretion to determine whether your evidence of trademark use is sufficient. Essentially, you want to be able to demonstrate that you have used your trademark in the marketplace alongside another mark having been registered earlier for a length of time and to a degree that shows it is likely consumers could have been presented with your mark as well as that earlier/other mark and either that no confusion has occurred, or if it has details around why it is still appropriate to accept your mark. For honest concurrent use evidence there is no set duration that will be considered long enough, nor an exact amount of evidence or use that will be considered ‘enough’. In this case, further information is necessary to be included in your declaration, including a detailed history of adopting the trademark and its use, and must advise whether you knew of the cited mark at the time of choosing your brand. 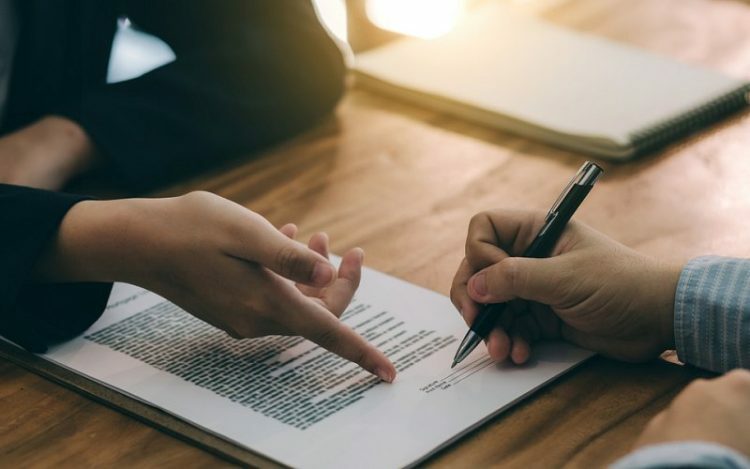 The declaration must discuss whether there has been confusion with any earlier conflicting mark and provide details as to where the mark has been used along with advertising figures and turnover figures for each year of use. The greater the length of time in use and the more spent in promoting the mark over time, the higher the chance of establishing honest concurrent use and gaining approval. If your mark is identical to the cited mark for the same goods/services, you are likely to need to meet a higher threshold with the provision of your evidence than if, for example, the marks are similar but not identical and/or whether there is similarity in the goods and/or services but they are not exactly the same. If your trademark application is accepted for registration by IP Australia it will go through an opposition period. If a third party files an opposition to your trademark you may choose to defend that opposition and in which case it may become necessary for the parties to file evidence in respect of the opposition proceedings. Alternatively, you may choose to file an opposition to another person’s application at some point and if they choose to defend that opposition the parties may be required to file evidence of use or other evidence in support or defence of the opposition. Typically evidence in an opposition period has similarity to evidence of trademark use that you might file in response to a report during the initial examination stage. The requirements are a bit different and would be dictated by whether you are the opponent or the applicant. The Opponent in such a proceeding bears the onus of establishing their opposition. At first stage this is through filing of evidence in support. The Applicant, wishing to defend the opposition, may file evidence in answer – which is intended to address the Opponent’s initial evidence. In both cases, there is often an element of each party supplying evidence of their use of their respective trademark, in combination with other information/evidence that helps support their position in the opposition. It is also possible to have a trademark opposition situation that concerns the removal of a trademark for non-use. If a person files a request to remove an existing trademark, the holder of that mark is entitled to oppose the removal of their trademark. The ‘removal applicant’ can choose to defend that opposition and then, as with the above situation around the opposition to registration of a trademark, the parties may be required to file evidence in those proceedings. Here, it is likely to be a case of the trademark owner proving they have used their mark in the relevant time-frame prescribed in order to keep it from being removed. Further our comprehensive guide to trademark opposition matters in Australia, see our earlier blog post here. Preparation of evidence to overcome trademark office objections or in opposition proceedings can be complex. We encourage applicants and opponents to seek professional advice and assistance to ensure the best chance moving forwards for your brand’s protection. There are some ins and outs in the preparation to be aware of – such as certain information being deemed confidential. It is possible for others to obtain a copy of your evidence, so sometimes we need to be strategic in what is included. Mark My Words Trademark Services Pty Ltd has extensive experience in preparation of evidence of trademark use with high success rates in overcoming issues through the provision of evidence. Please contact us for an estimate and we are happy to assist you. We are also able to tell you whether your evidence is likely to be sufficient, or, if other options may be better considered in your specific case.